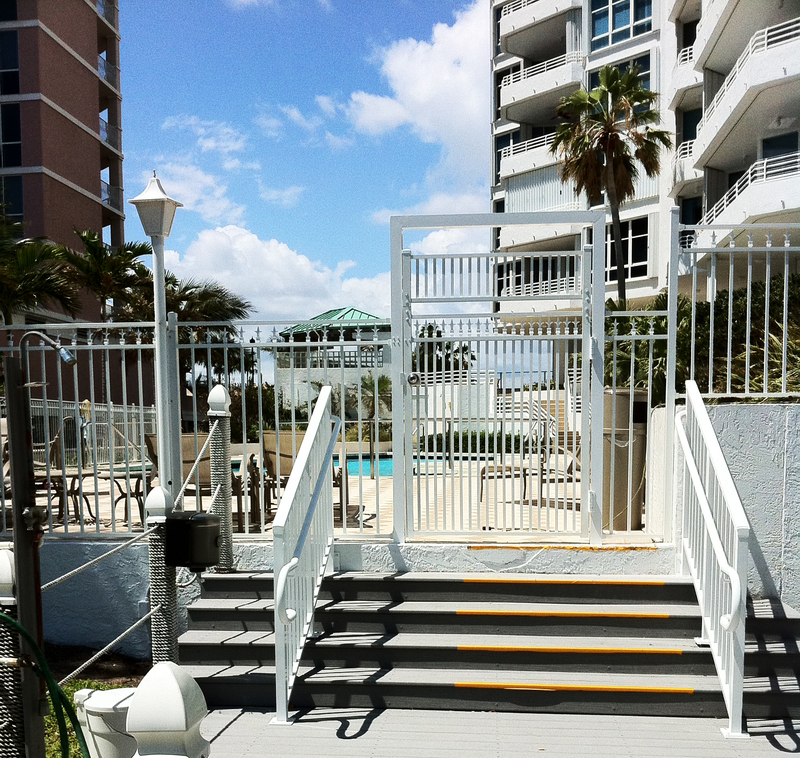 One of the most widely used styles in Broward County and most of Florida is mechanical aluminum fencing. 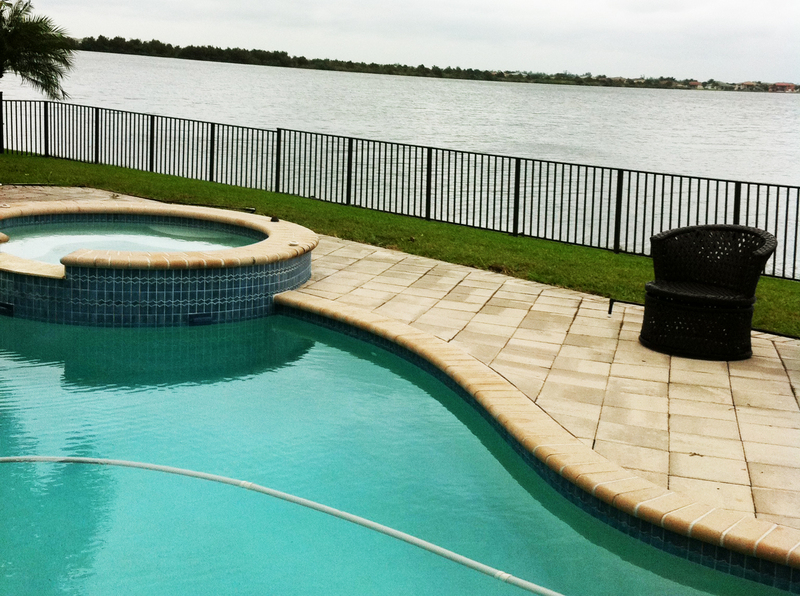 If you have a pool or live by a lake or waterway, you’re required by the county to install this particular type of fence in order to secure your pool from entry by small children and animals. 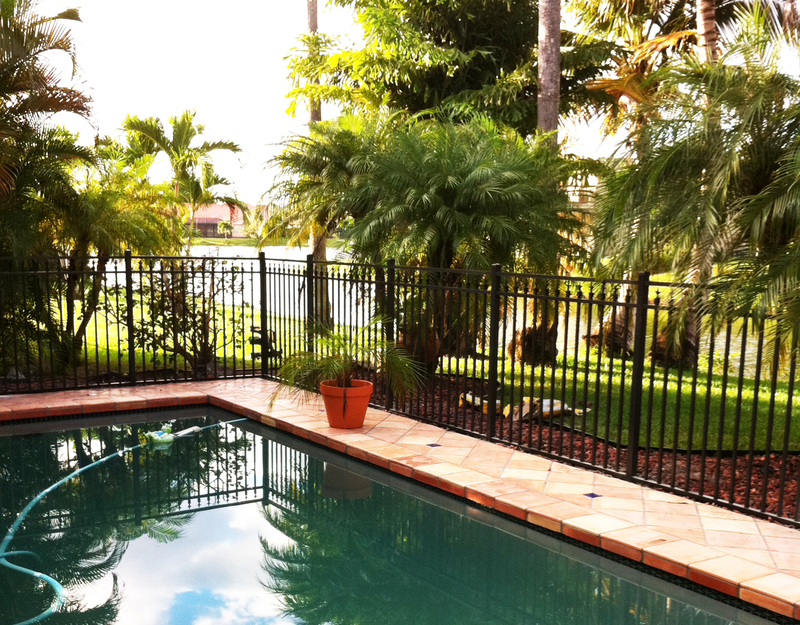 Several heights are available from 3′ to 6′ high, although you are required to install a 4′ height fence by minimum if you are enclosing a pool. 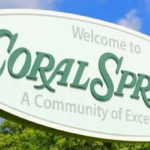 Mechanical aluminum fences are also required to be used by a great many home owners associations throughout Broward county as well. This style of aluminum fence can be assembled similarly to mechanical aluminum fencing, although most of the time it is fully welded together. It mimics the look of wrought iron fencing without irons tendency to rust over time, especially when installed near salt water. Typically customers choose to install a cost efficient mechanical fence system and then opt to have ornamental gates, as having a fully welded ornamental aluminum fence is very expensive. 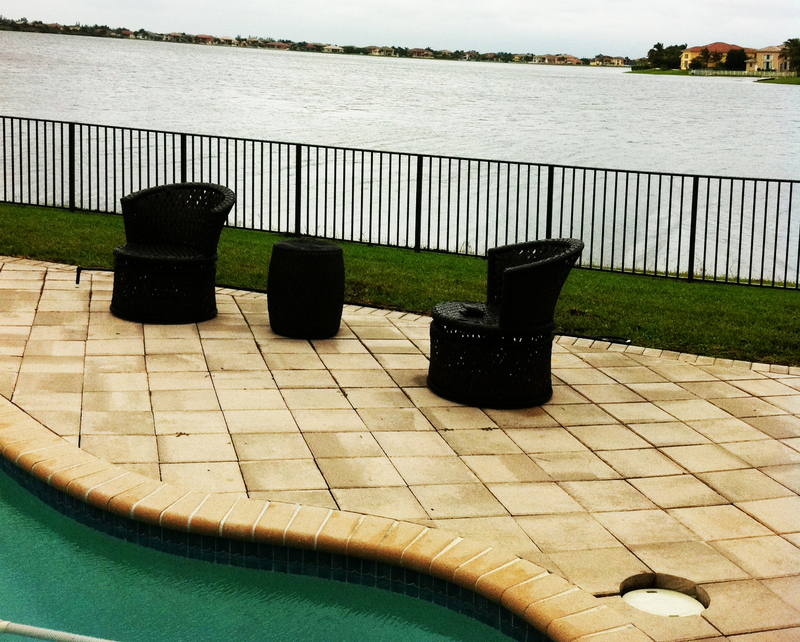 Because aluminum fencing it powder coated, it stands up to South Florida’s elements very well. 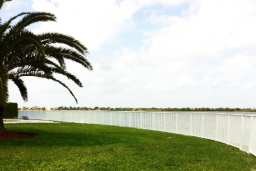 Aluminum fencing will never rust, and will almost never fade under exposure to sunlight. Also, if certain parts are damaged due to falling tree debris or lawn-care accidents it’s very easy to fix. 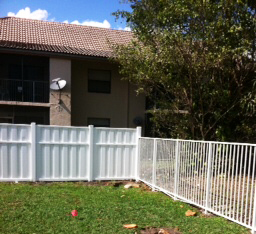 Ultimately aluminum fencing tends to need very little to no maintenance. 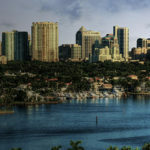 All of our aluminum is purchased from the most reputable aluminum fencing manufacturer in South Florida, Winrise. This company has been around for quite some time and produces only the highest quality aluminum fencing products available on the market.